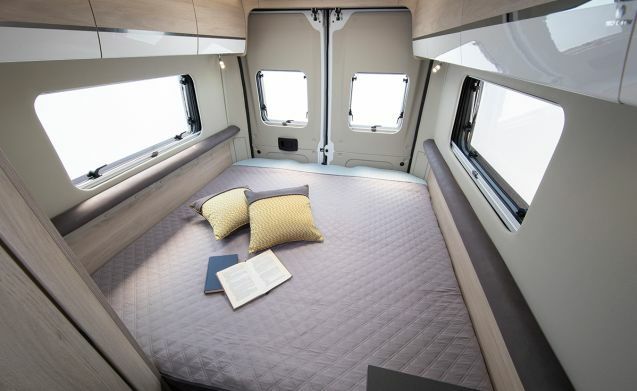 Perfect for exploring with that special someone! 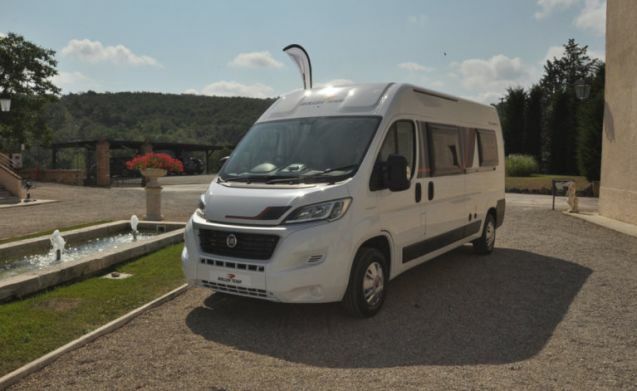 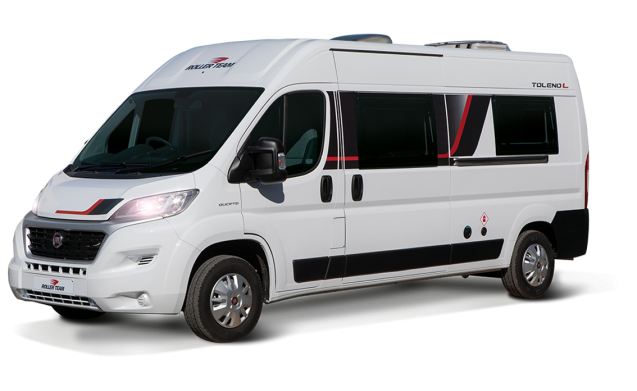 Our Toleno L is an excellent choice For adventurous couples and those who want to spend their days relaxing, the Toleno L compact van conversion is the logical first choice. 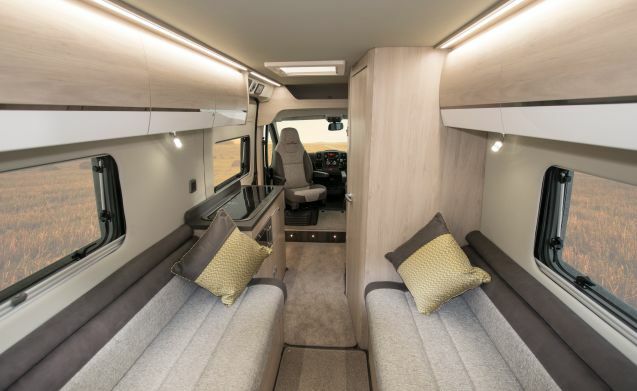 As an all new range for 2019, this two-berth and two-seatbelt model is sophisticated and has a practical layout ensuring comfort and space. 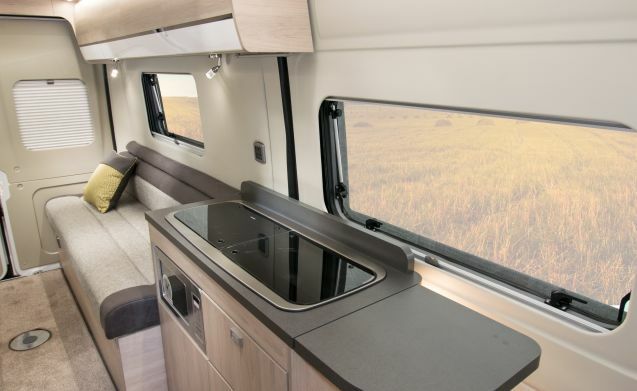 Access through the rear is made easy with double doors. 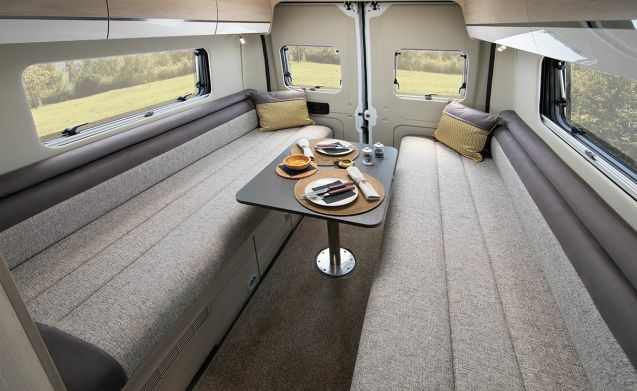 The extra-long bench seating become either two singles or a double and make for a comfortable sleep.